Like all mothers, you'll want only the best for your baby, including a clean and safe environment for them to grow up in. 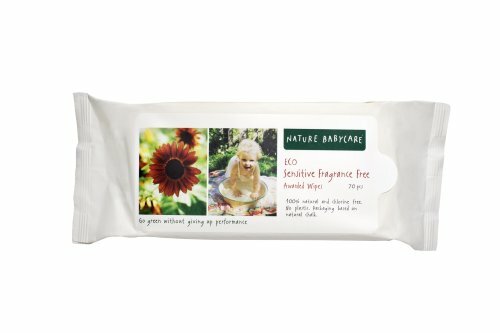 Nature Babycare Wipes are made of unbleached wood pulp sustainably harvested and are moistened with purified water and natural aloe vera, making them as good for your baby as they are for the environment. 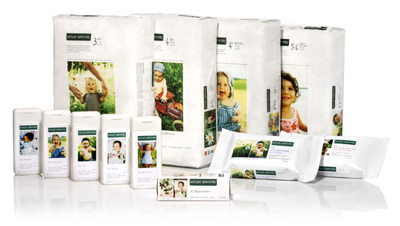 Nature Babycare is a Swedish-based company set up by a pioneering mum 14 years ago, and produces a range of award-winning wipes and baby products which are effective, price competitive, and environmentally friendly--making Nature Babycare products good for both babies and the environment. Europe for a long time running has been widely known for leading the world in environmental standards. Nature Babycare is proud to say that we carry the Swedish Society of Nature Conservancy approval. 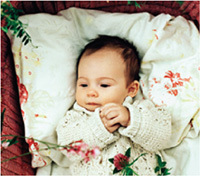 We are the trusted source for eco-friendly baby products among consumers and the green community. Our wipes are completely free of chlorine and are made from a biodegradable wood pulp sustainably harvested from our own Scandinavian forests. We chose to use purified water fresh from the lakes and added aloe vera for softness. Our wipes are hypo-allergenic, contain no alcohol and are 100-percent chlorine-free. We even use 100-percent biodegradable packaging based on natural corn chalk. Nature Babycare has been awarded "Best Baby Wipes" for 2006-2007 by Mother & Baby Magazine. It took a concerned Swedish mother to make it--Marlene Sandberg, a former law partner and mother of two boys. "I started my company with the determination to make a high-performance diaper that was more friendly to nature and healthier for the child. Nature Babycare is all of that." After many years of intense work and development, Marlene has created a range of products to include eco-friendly diapers, eco-friendly baby wipes, nursing pads, bibs, and skin-care for babies which are all made from renewable and biodegradable ingredients. So now moms can be rest assured that when they buy Nature Babycare, they are caring for the environment and their child. Marlene, "I don't believe in compromises or shortcuts. If you want an ECO-friendly diaper to be successful, it must perform at least as well or better than the best 'traditional' diapers." Nature Babycare--the award-winning ECO-diaper. From a mum who decided the world needed a better diaper, and made it happen! I love everything about these wipes. The product is everything the package says. They are strong and the light sent is just that very nice and not over done. There is nothing fake in here so great for tiny tushies and faces. I would and have recommended all the Nature baby products. I give them along with shower gifts. If you need to compare, they are like 7th Generation, work as well, same amount of moisture not to much but just enough, only these are more eco friendly because they break down and the unsented doesn't have a funky smell. Not a joke - DANGEROUS INGREDIENT!!! One of the top ingredients in this product has been deemed TOXIC by Europe and Japan - this is not a joke. DON'T BUY THESE WIPES! Here is the website to see for yourself - don't be confused by the two kinds, there is a Phenoxyethanol and a 2-Phenoxyethanol BOTH ARE TOXIC.